Duquesne Light Co. and DQE Communications have given a $50,000 gift toward the construction of Point Park University’s new Pittsburgh Playhouse, bringing its fundraising for the project up to $42 million to date. 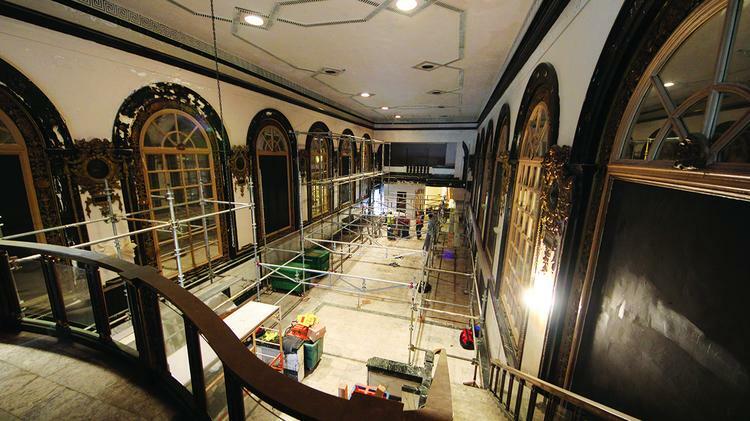 The donation will go to the exterior illumination of the public space in the project, which will highlight the walkways and showcase three historic facades that are being meticulously restored and reassembled in their original form. The space, slated to open downtown in the fall of 2018, will feature three theater spaces, a large scene shop, sound stage, prop shop, costume shop and café. The University of Pittsburgh is one of eight colleges and universities nationwide honored by University Business magazine in its 2016 Models of Excellence program, which honors innovative approaches to encouraging and nurturing student success on college campuses. Pitt received the award for its Vira I. Heinz Program for Women in Global Leadership, a year-long program that culls women from universities across the state and offers them international experience, including an immersive summer session abroad. The National Science Foundation has awarded a University of Pittsburgh researcher to develop an improved screening method for dysphagia, a group of swallowing disorders that affect as many as one in 25 adults. Ervin Sejdić, an assistant professor of electrical and computer engineering, received a five-year, $549,139 award to conduct more research using high-resolution vibration and sound recordings that would help doctors diagnose dysphagia and assist patients in improving swallowing. Indiana University of Pennsylvania students in two biology courses in fall 2017 and spring 2018 will do hands-on research to help to find phages — viruses that infect bacteria — in soil through the Howard Hughes Medical Institute’s Science Education Alliance-Phage Hunters Advancing Genomics and Evolutions Science. IUP is one of 142 universities in the world to be part of Sea-Phages, a two-semester, discovery-based undergraduate research course that begins with digging in the soil to find new viruses, progressing through a variety of microbiology techniques and eventually to complex genome annotation and bioinformatic analyses.